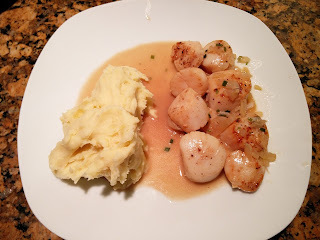 Tonight we made seared scallops in a white wine sauce with garlic mashed potatoes. 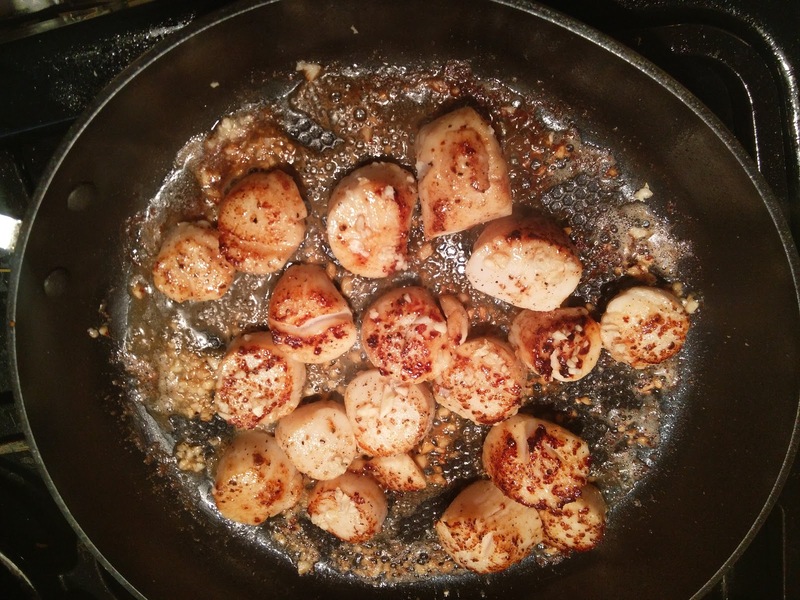 The scallops turned out juicy, tender and cooked to perfection. The sauce was absolutely delicious and went well with the scallops and the mashed potatoes. The recipe for the mashed potatoes is the same as in our earlier posts with garlic mashed potatoes. 1. Place a skillet over medium-high heat until thoroughly heated. 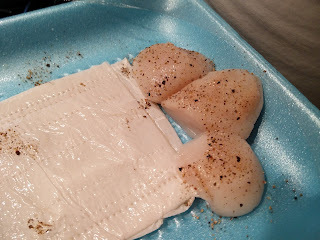 Coat scallops with cooking spray, and then salt and pepper right before placing on skillet. 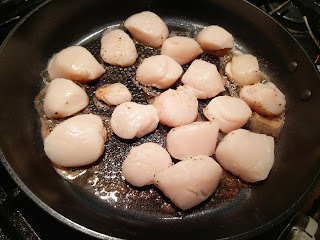 Carefully place scallops in hot skillet. 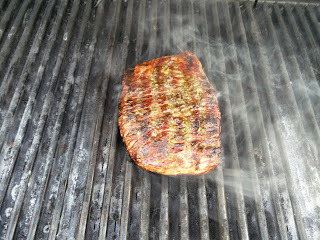 Sear 3-5 minutes or until browned, flip sides, and cook another 2-3 minutes. The scallops turned out excellent - they went very well with the mashed potatoes too. He loved the mashed potatoes..but we also bribed him to eat them with watermelon balls. Apparently, he can eat half a little watermelon all by himself. Astrid however, LOVED the mashed potatoes. they were the best thing ever. She had a couple of tastes, and wanted more! No changes needed. A may be would be to try shallots instead of the onions. We decided to make some white wine risotto as a side for it and it turned out really good. 1. Heat a skillet over medium-high heat. 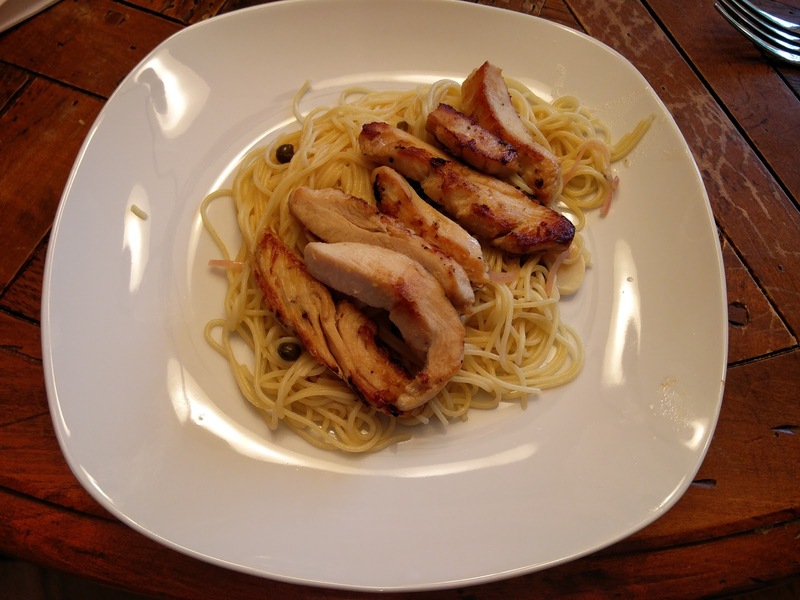 Sprinkle chicken with 1/4 teaspoon salt and 1/8 teaspoon pepper. Add 1 tablespoon olive oil to pan; swirl. Add chicken; cook 4 minutes on each side or until done. Transfer to a cutting board. 2. Combine pecans, juice, onions, remaining 1/4 tea­spoon salt, and remaining 1/8 teaspoon pepper in a mini food processor; pulse until finely chopped. Add remaining 2 tablespoons olive oil; pulse to combine. Transfer mixture to a bowl; stir in cheese. 3. 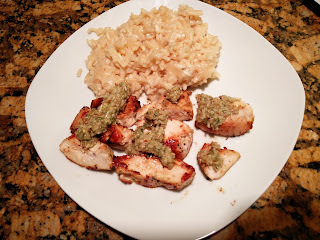 Slice chicken across grain. Place on 4 plates; top with gremolata. 1. 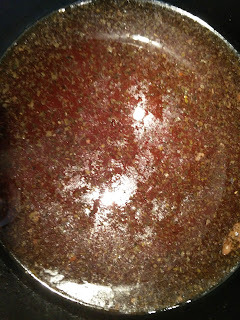 Heat stock in saucepan over medium heat; keep at a low simmer. 2. Heat olive oil in a heavy-bottomed saucepan over medium heat. Add onions to oil, and cook, stirring, until translucent. Add rice, and cook, stirring, until rice begins to make a clicking sound like glass beads, 3 to 4 minutes. 3. Add wine to rice mixture. Cook, stirring, until wine is absorbed by rice. 4. 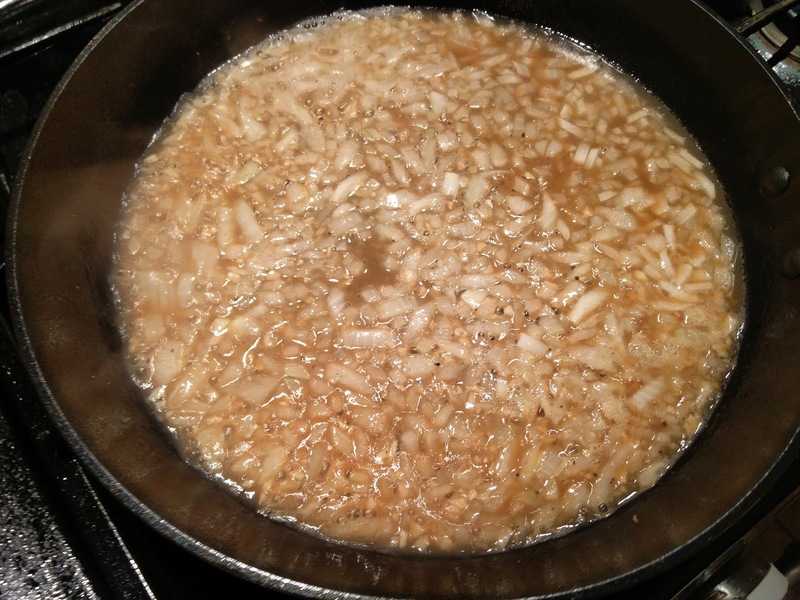 Using a ladle, add 3/4 cup hot stock to rice. Using a wooden spoon, stir rice constantly, at a moderate speed. Note: Stirring the rice too vigorously will make your risotto slightly gluey; stirring too little will make it watery. Rice should be only thinly veiled in liquid during the stirring process. When rice mixture is just thick enough to leave a clear wake behind the spoon, add another 3/4 cup stock. 5. Continue adding stock 3/4 cup at a time and stirring constantly until rice is mostly translucent but still opaque in the center. Rice should be al dente but not crunchy. As rice nears doneness, watch carefully and add smaller amounts of liquid to make sure it does not overcook. 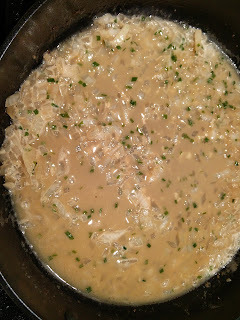 The final mixture should be thick enough that grains of rice are suspended in liquid the consistency of heavy cream. It will thicken slightly when removed from heat. 6. Remove from heat. Stir in butter, Parmesan cheese, and parsley; season with salt and pepper. Divide the mixture among four shallow bowls, mounding risotto in the center, and grate or shave additional Parmesan over risotto. Serve immediately. The risotto was excellent. The chicken was mediocre. We could have made better chicken with just a spice rub on it. He wanted a "special Kaspian dinner" which consisted of dinosaur chicken nuggets. Who can argue with that? I don't think we'll be making this chicken again. This is a cheater chicken salad because it really only uses two ingredients and they are prepackaged. 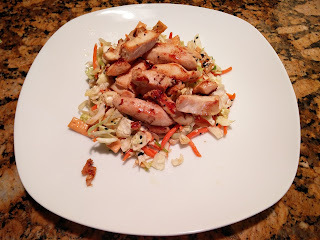 We combined an Asian salad mix and pre cooked chicken strips for a super quick and yummy chicken salad. This seriously took give minutes to make and that's with frying the chicken strips. 1. Fry the chicken strips in oil until heated through. 2. Make salad according to instructions. 3. Top salad with chicken. 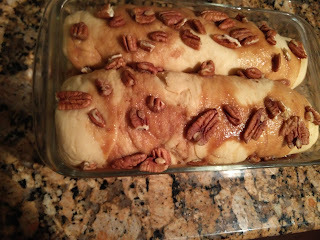 Super quick, easy and yummy. He preferred his burger left over from lunch. Astrid, however, at only 4 months old, loved the chicken taste. We let her tongue at a chicken strip and she really enjoyed it. 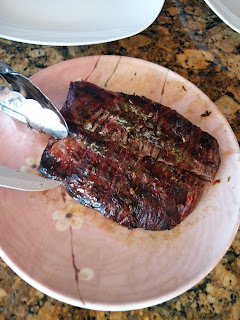 The original recipe for tonight's dinner was flank steak with herb dressing and charred broccolini. However, our local stores did not have any broccolini so we kind of had to improvise. It turned out really good and fast though. 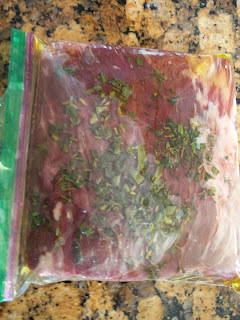 We used the grill instead of a pan to fry it and we marinated the meat in the oil and herb mixture for a couple hours. Overall it turned out really good. The flank steak cut of meat we had was also perfectly marbled so that helped a lot too. 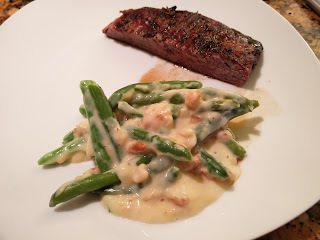 For our side, we made a green bean casserole which was perfect with frozen petite green beans. 2. Pre-heat grill to medium high. Add Steak - cook 8 minutes on first side, 7 minutes on second side or until desired done-ness. We like our steak well done. 2. Combine cream of chicken, milk, salt and pepper in a bowl and mix together. Add in the green beans. 3. Place into a baking dish and bake for 30-40 minutes. Quick and simple. The casserole actually took longer to do than the steak. 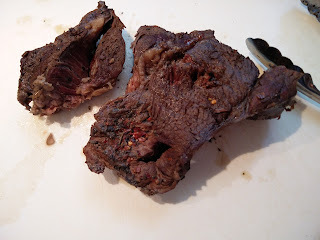 The steak came out really juicy and flavorful. Couldn't follow the original recipe, but it looks like that may have been better this way. Kaspian loved the green beans. He thought the cream of chicken was a type of "cheese" and happily accepted eating it. This would go great with mashed potatoes. We were at Costco and saw this pre-cooked chicken (they actually were sampling it). We thought it would go perfect and make this already easy dish even easier. And it did! Using the pre-cooked chicken just cut down on the time of cooking and browning the chicken. 12 eggs, hardboiled and peeled. 1. Combine carrots and vinegar and salt and squish it all together with your hands until carrots are soft and silky feeling. 2. Heat up canola oil. Add in chopped onion. Fry until soft, but not golden. Add to the carrots. 3. Add in garlic, corriander, paprika and cayenne and sugar. Stir together. 4. Let sit overnight before serving. 1. 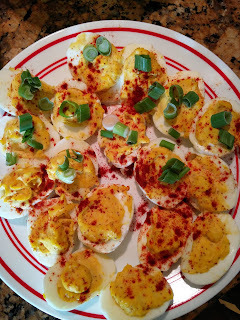 Cut eggs lengthwise. Take out the yolks into a bowl. A spoon works best for getting them out. 2. Mash the yolks with a fork or spoon. Add mayo, vinegar, salt and mustard. 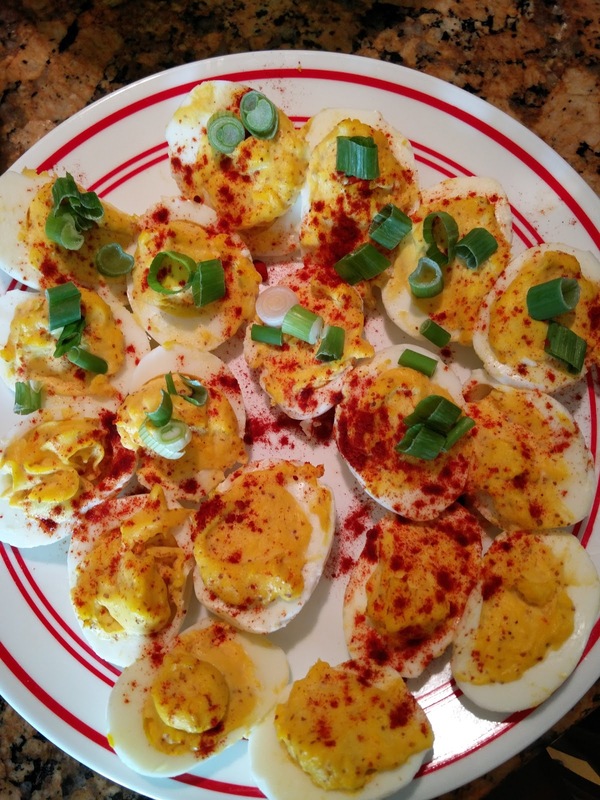 Sprinkle paprika and green onions on top. 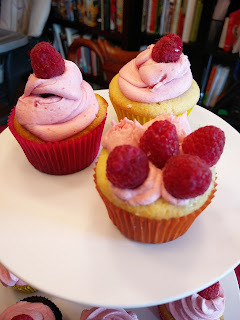 We loved trying a new variation of recipes we've made before. Nothing,these were great. they were both the best we've ever made. He didn't notice anything but the watermelon. The watermelon he loves. We bought the watermelon a week before the party and he's been wanting it every day. It was a very exciting moment when we actually cut into it. Kaspian stuffed both his cheeks with watermelon and looked like a little chipmunk. Then, he asked for more. 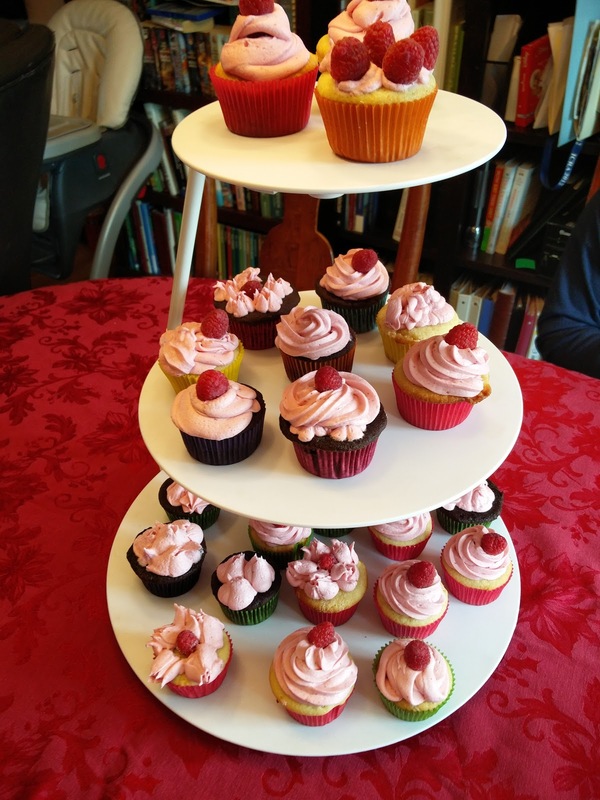 We had a party on Saturday and these are the cupcakes we made for it. They were delicious. The frosting was perfect. We are still learning to pipe frosting and do decorative stuff, but we tried. We made a batch of chocolate cupcakes and a batch of the lemon ones. Then, we doubled the recipe for the raspberry frosting to cover both batches. 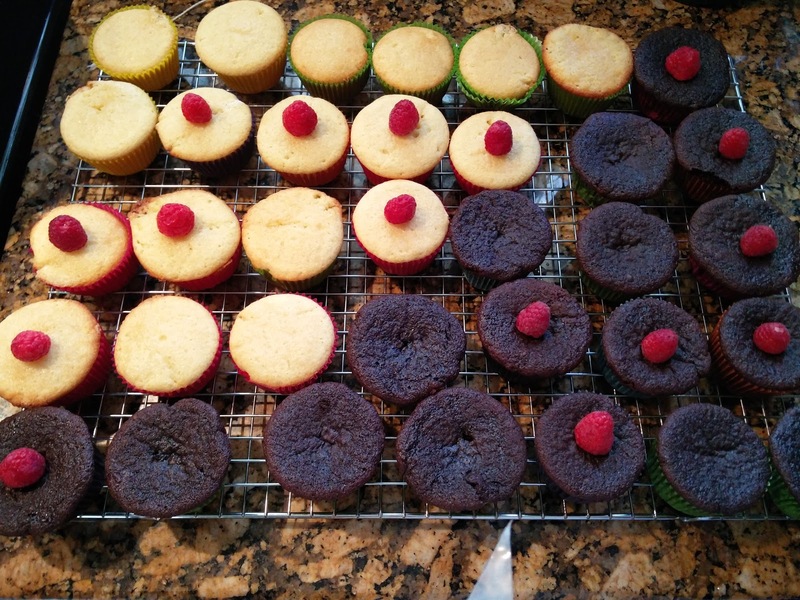 We ended up with 35 cupcakes total. The strange thing was that the chocolate ones "fell" (had dimples in the middle) after cooking. But the lemon ones did great. We upped the temperature by 5 degrees for the lemon ones (they cooked second), just in case the oven temp was off. 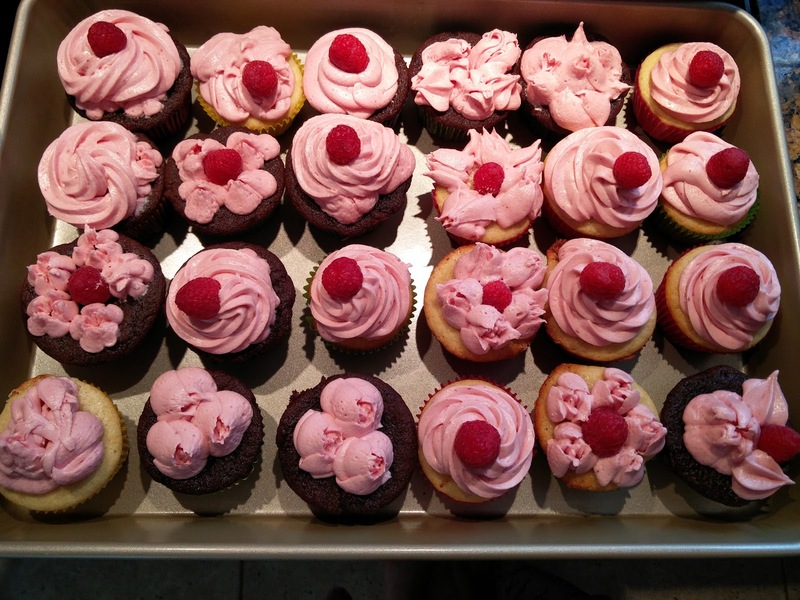 These not only taste good, but also look wonderful... even with our ahem, "creative" frosting job. 1. Preheat oven to 350 degrees. 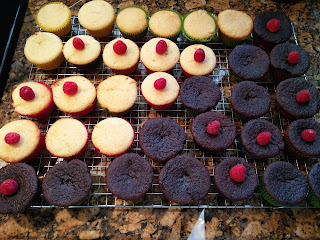 Line a 24-cup cupcake pan with cupcake liners. 2. Melt chocolate in a microwave safe bowl on 50% power in 20 second intervals, stirring between intervals until melted and smooth, set aside to cool slightly. We needed almost 2 minutes for the chocolate to melt. 3. In a mixing bowl whisk together flour, cocoa powder, baking soda and salt for 20 seconds, set aside. 4. In the stand mixer, with the paddle attachment, mix together sugar and butter until combined. Mix in egg, egg yolk and vanilla extract. Mix in melted chocolate then mix in sour cream. Add half of the flour mixture and mix on low speed until combined then add remaining half and mix until combined. Add about 1/5 of the boiling water at a time, mixing until combined after each addition. Once water has all been mixed in mix batter on medium-low speed for 1 minute. 5. Divide batter among prepared muffin cups, filling each about 2/3 full (it's about 1/4 cup of batter). We got 16 cupcakes out of this batter. 6. Bake in preheated oven until set and toothpick inserted into center comes out clean, about 17 - 20 minutes. Remove from oven, transfer to a wire rack and cool. 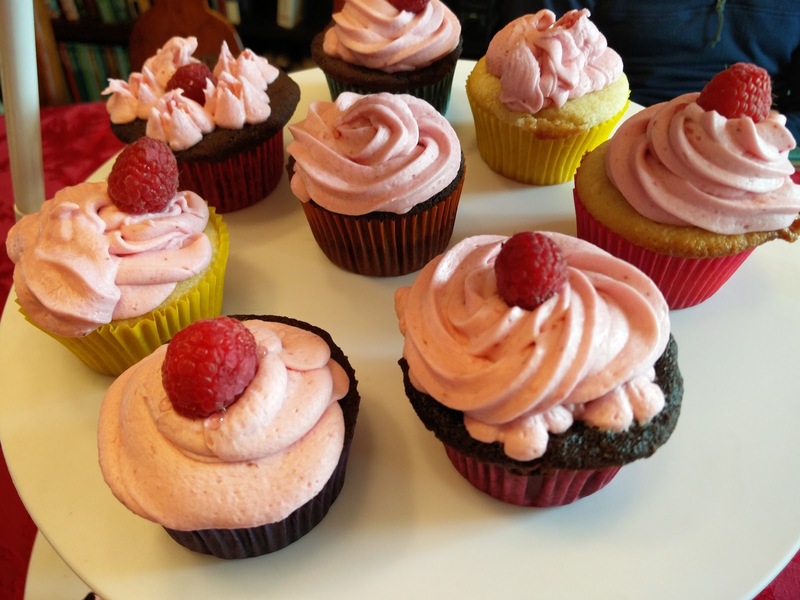 Once cool frost with Raspberry Buttercream Frosting and top with raspberries. Store in an airtight container in refrigerator. 2. Whisk together all-purpose flour, baking powder, baking soda and salt and whisk 20 seconds. 3. In a food processor, pulse together 3/4 cup granulated sugar with lemon zest until finely ground, about 1 minute. 4. In the bowl of an electric stand mixer, with the paddle attachment, whip together butter with lemon sugar mixture until pale and fluffy. Add in egg, egg whites, and vanilla. 5. Whisk together buttermilk and lemon juice. 6. Working in three separate batches, beginning and ending with flour mixture, add 1/3 of the flour mixture alternating with 1/2 of the buttermilk mixture and mixing just until combined after each addition. 7. 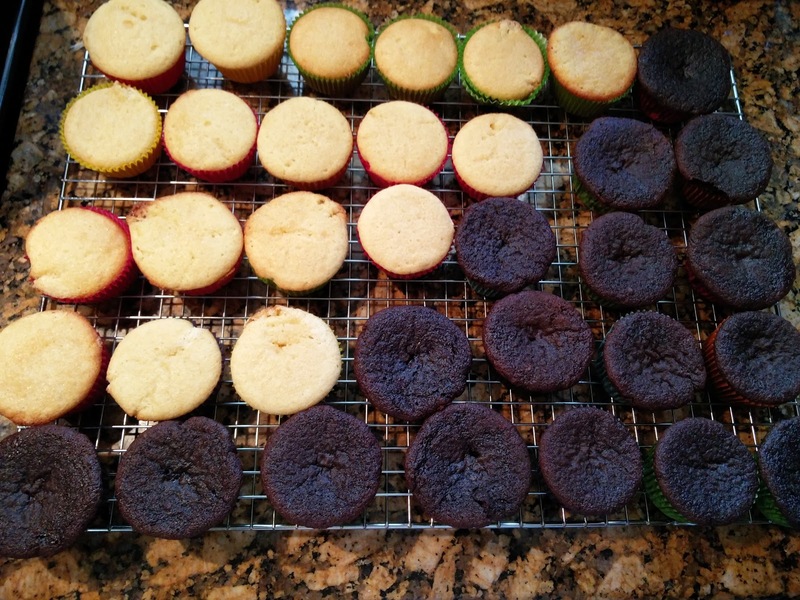 Divide batter among lined cupcake cups. We got 17 out of this batter. 8. Bake in preheated oven until toothpick inserted into center of cupcake comes out clean, about 18 - 20 minutes. While the cupcakes are coking - prepare the simple syrup by mixing the 1 tablespoon of sugar with 2 tablespoons of lemon juice. 9. Remove from oven and allow to cool several minutes in muffin tin, then transfer to a wire rack to cool slightly. 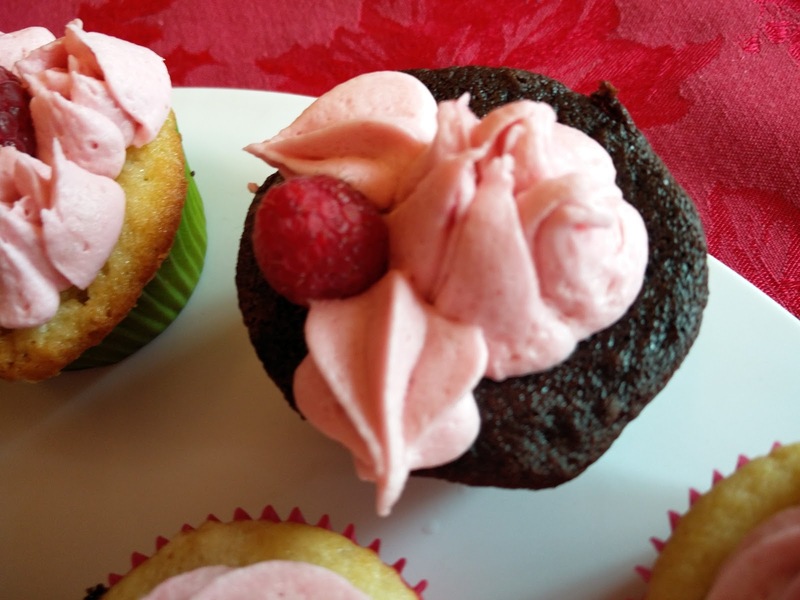 Brush the simple syrup on the warm cupcakes and allow to cook completely. 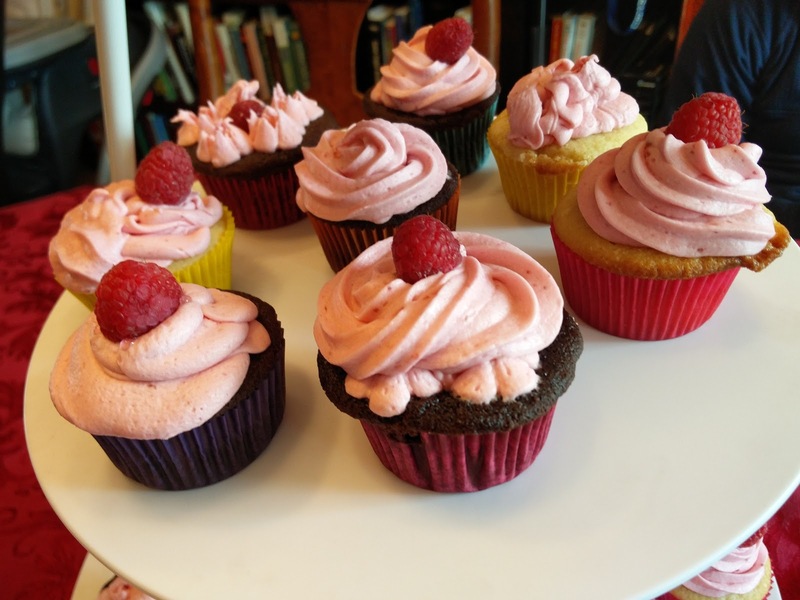 After cooled, frost with Raspberry Frosting. 1. Puree raspberries in a food processor until well pureed then force through a fine mesh strainer into a bowl to remove seeds. 2. Heat mixture in a saucepan set over medium-low heat until reduced by half. Cool completely. 3. 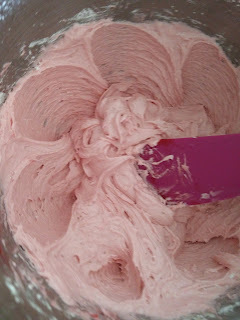 In the bowl of a stand mixer fitted with the paddle attachment, whip butter until very pale and fluffy. 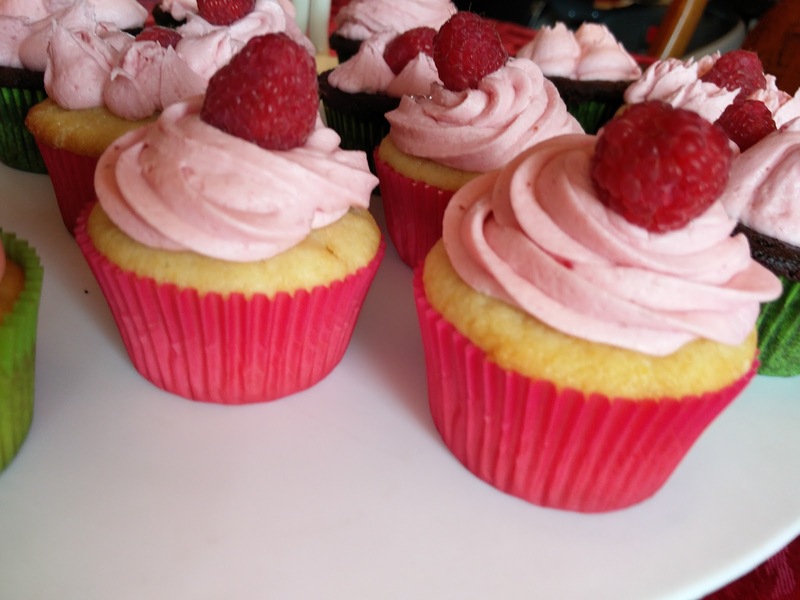 Mix in 1 cup powdered sugar then mix in reduced raspberry puree and vanilla. Add remaining powdered sugar and mix until light and fluffy. 4. Add one raspberry to top of each cupcake if desired, then pipe frosting over raspberry and top with another raspberry. Store in an airtight container. These were SOOO good. The chocolate ones were exceptionally good. Took a really long time to make. 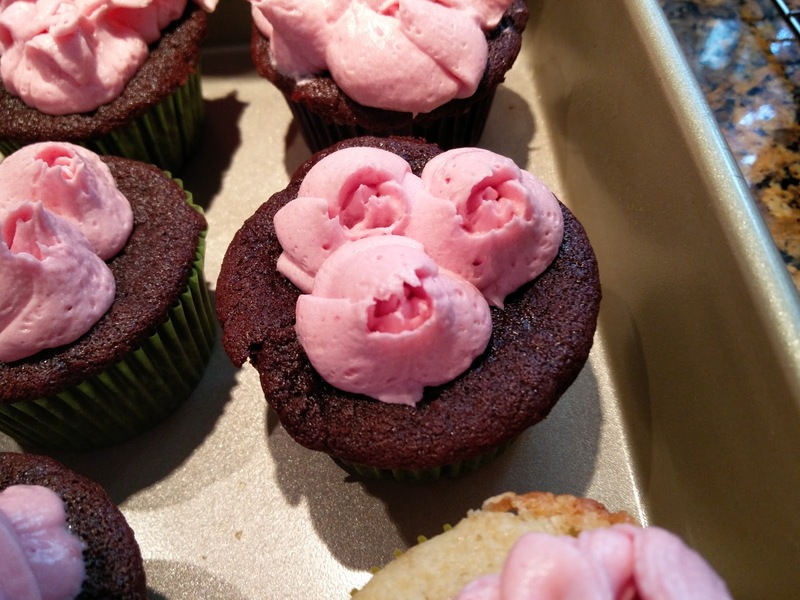 The frosting got too "soft" and we had to put it in the fridge for a little bit to harden. 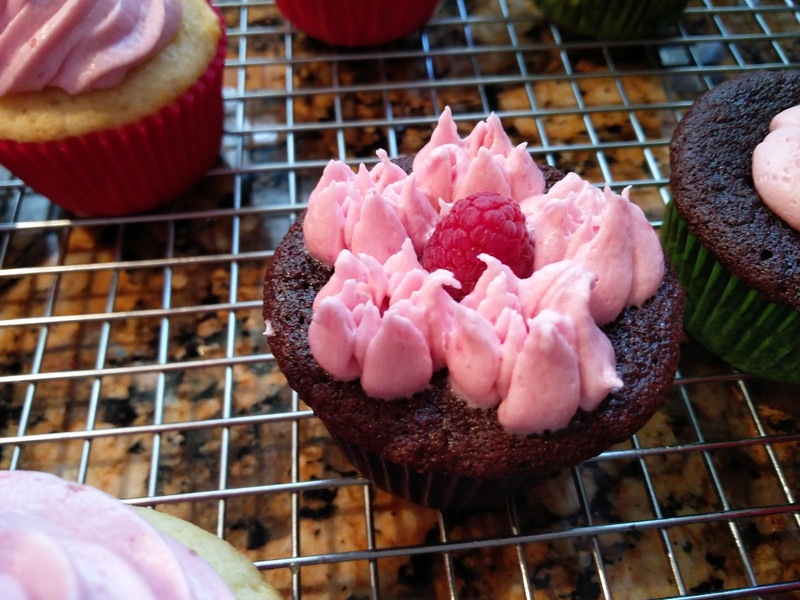 Although, it seems like if the frosting hardened too much then it wouldn't stick to the cupcake. We are still figuring out frosting. He LOVED the chocolate cupcakes. He did not like the raspberries. He helped to line the cupcake pan with the cupcake liners. All the green cupcake liners were cupcakes with no raspberry topping and no raspberry under the frosting. He actually ate all of the cupcakes given to him. 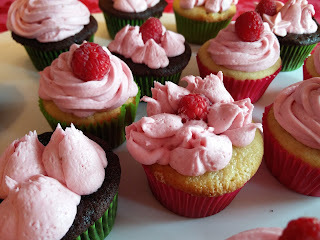 (a lot of the times, he will just start a cupcake but never finish, these he loved enough to finish). Work on figuring out frosting. 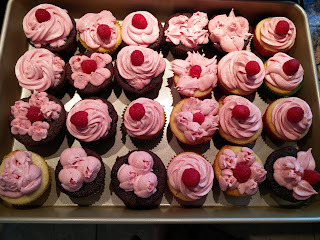 Maybe only make the chocolate ones - everyone seemed to love those more. 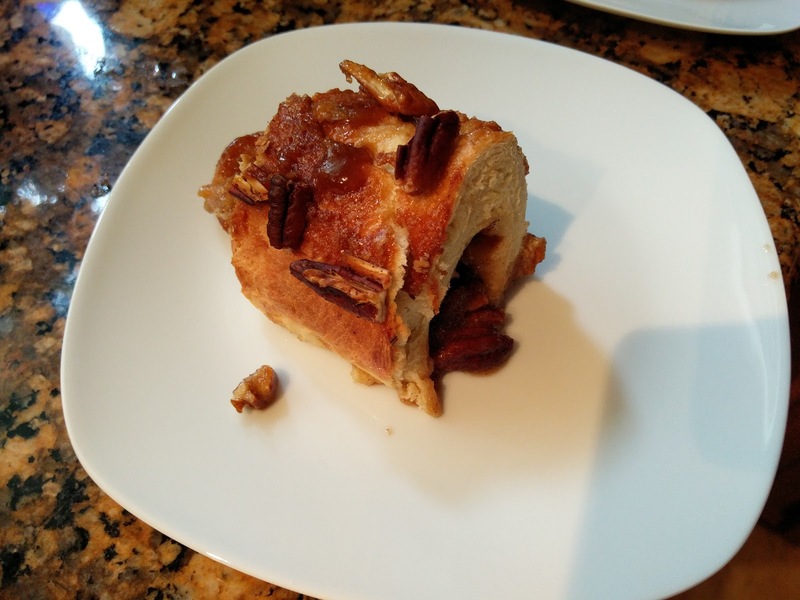 After our last attempt at a failed pecan cinnamon roll recipe, we really wanted to make one that was actually good. So we got yeast, prepared in advance and started this recipe the night before. It turned out MUCH better. The bread is really good. Although, the addition of the butter into the dough after it's already mixed is odd. Next time, we will add the butter in prior to adding the flour. This will make it much easier to mix. With adding the butter into the bread after the flour was incorporated required a lot more flour addition to actually make a work-able dough. Also, we add the nuts and syrup inside the bread and on top of it. That works much better than on the bottom and the nuts inside are a really nice treat. 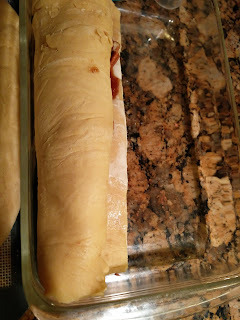 The recipe calls for a bundt cake pan, but we don't actually have one, so we ended up just making 2 rolls and baking them side by side in a glass dish. That worked well, except we forgot to coat the bottom with oil, so the syrup that made it to the bottom kind of stuck there, but even with that, it was good. The rolls cut easily and tasted great. 1. Combine yeast and warm water in the bowl of a stand mixer; let stand 5 minutes or until foamy. Add granulated sugar, milk, vanilla, salt, and eggs; beat at low speed until well combined (about 1 minute). 2. Weigh or lightly spoon flour into dry measuring cups; level with a knife. Add 1/4 cup flour to yeast mixture; beat at low speed 1 minute. Add 2 1/4 cups flour; beat at low speed until a soft dough forms. Change paddle to dough hook; beat at medium speed 8 minutes or until smooth and elastic. Add 4 tablespoons butter, 1 tablespoon at a time, beating at low speed until combined after each addition and scraping sides, if necessary. Scrape dough onto a work surface sprinkled with remaining 1/4 cup flour (dough will be sticky). Knead 1 minute or until smooth and elastic. Place dough in a large bowl coated with cooking spray. Cover and place in a warm place (85°), free from drafts, 1 hour or until doubled in size. 3. Combine 3 tablespoons butter, 2/3 cup brown sugar, corn syrup, and honey in a small saucepan; bring to a boil, stirring just until butter melts. Boil 30 seconds, stirring constantly. 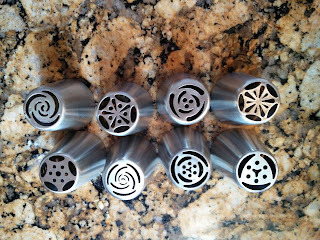 Pour syrup into a 12-cup Bundt pan coated with cooking spray. Sprinkle nuts evenly over syrup. Cool completely. 4. Combine remaining 1/3 cup brown sugar and cinnamon in a small bowl, stirring with a whisk. 5. Turn dough out onto a lightly floured surface. 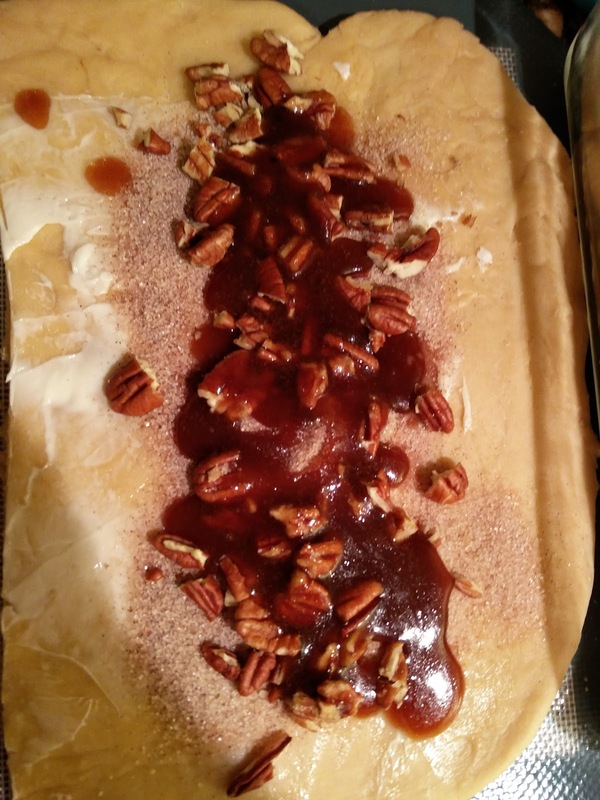 Gently press dough into a 16 x 12-inch rectangle. Melt 1 tablespoon butter. Brush surface of dough with melted butter. 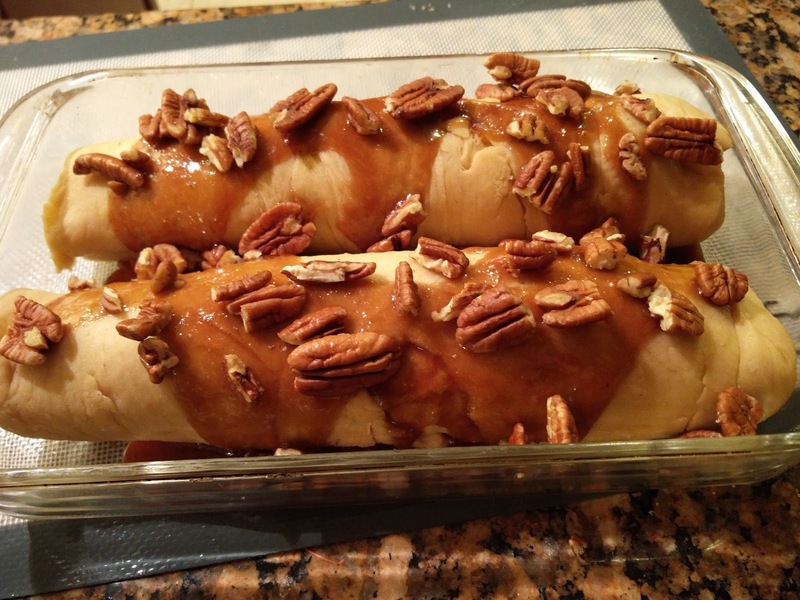 Sprinkle brown sugar-cinnamon mixture evenly over dough. Beginning at short side, roll up dough, jelly-roll fashion; pinch seam to seal. Carefully lift roll, and fit into prepared pan. Pinch ends together. Cover with plastic wrap, and chill overnight. 7. Remove pan from refrigerator. Let stand at room temperature 30 minutes. Bake at 350° for 28 to 30 minutes or until a wooden pick inserted in center comes out clean and dry. Cool in pan 4 minutes on a wire rack. Place a plate upside down on top of pan; invert onto plate. 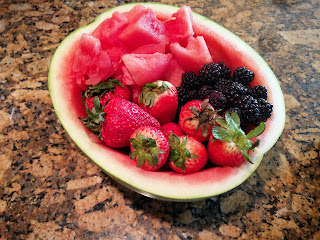 Let cool slightly before cutting. Overly long preparation to make dough. Incorporate the butter BEFORE adding the flour. He liked the bread, but the pecans were suspicious. He said "I don't like nuts, I don't like deez things." as he picked them off and threw them away. Add butter before the flour. Do not forget to spray coat the pan! This was a nice meat and filling. The peppers definitely needed onions, which we included, but had we not done so, it would not have been as good. This should definitely be a slow cooker recipe -where you can combine everything together in the morning and let it cook all day. The meat turned out very juicy and tender. One thing that we did not do right was use the right bread for this. We used more of a submarine type bread which was definitely too soft and soggy for this. A harder bread would be much better. 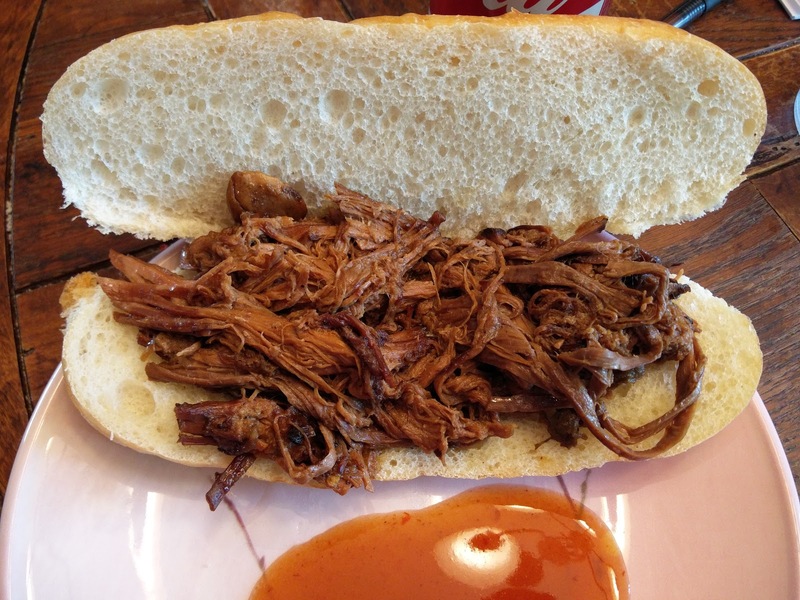 No sauce on bread, but rather a bowl for dipping would also be nicer for this type of sandwich. The pepperoncini peppers were also not very noticeable - perhaps more than just 4 should be added. 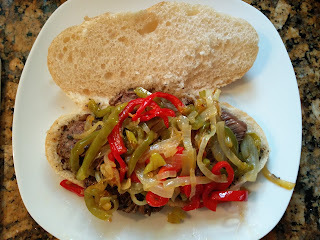 Also, we ended up making 4 sandwiches, and only enough meat and pepper mixture to maybe make one more. This will definitely not make 8 servings. 1. Combine first 6 ingredients in a medium bowl, stirring with a whisk. 2. Heat a large Dutch oven over medium-high heat. Add 1 tablespoon oil; swirl to coat. Add beef to pan; cook 10 minutes, turning to brown on all sides. Add stock mixture, 1 cup water, and 1/2 teaspoon salt to pan; bring to a boil. Reduce heat to medium-low; cover and simmer 90 minutes. 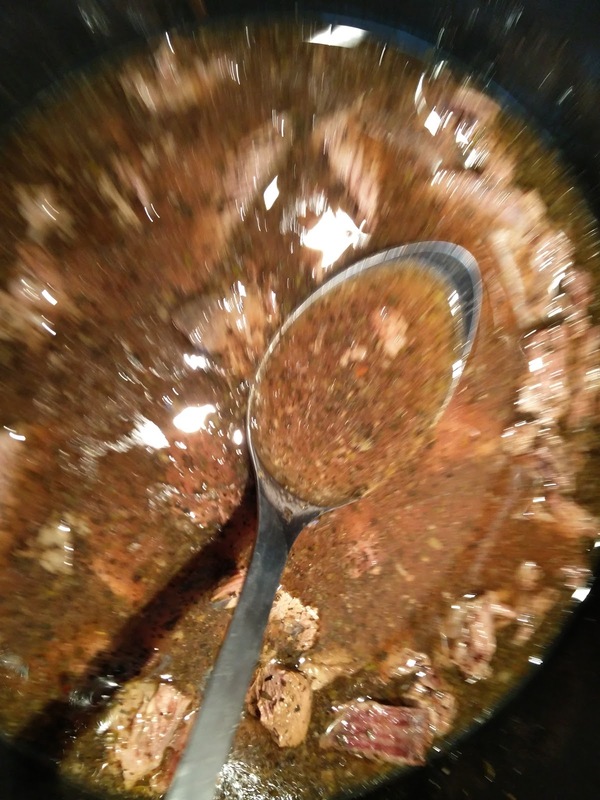 Turn beef; cover and simmer 90 minutes or until beef is very tender. Remove pan from heat; keep warm. 3. Heat a large nonstick skillet over medium-high heat. Add remaining 1 tablespoon oil; swirl to coat. Add garlic, onion, and bell peppers to pan; sauté 7 minutes or until tender. 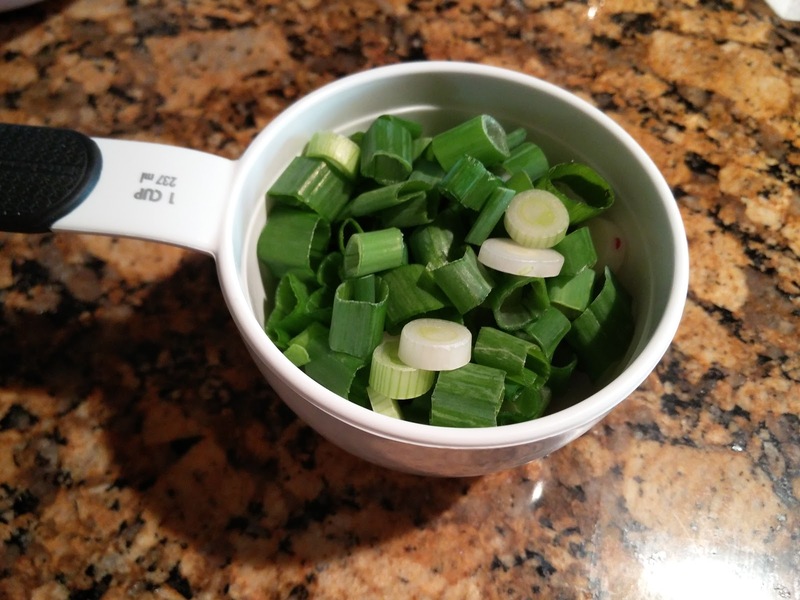 Add remaining 1/2 teaspoon salt, vinegar, and pepperoncini peppers to pan; cook 1 minute. 4. Place beef on a cutting board; let stand 5 minutes. Cut across the grain into thin slices. 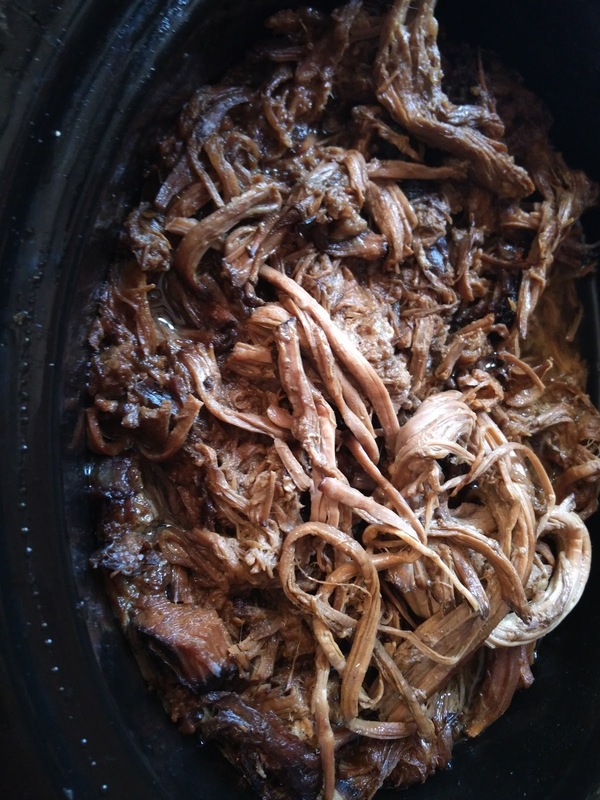 Return beef to Dutch oven. 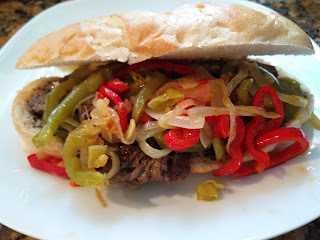 Stuff rolls evenly with with beef, bell pepper mixture. Use the beef broth sauce for dipping. It was a pretty good beef sandwich. We did not have the right bread for this so it got kind of soggy. He was enjoying his m&m yogurt (ewww!) and had eyes for nothing else but that. Make this a slow cooker recipe. Use tougher bread for buns. This was a wonderful colorful salad. The dressing was really great and the shrimp were simple, yet delicious. 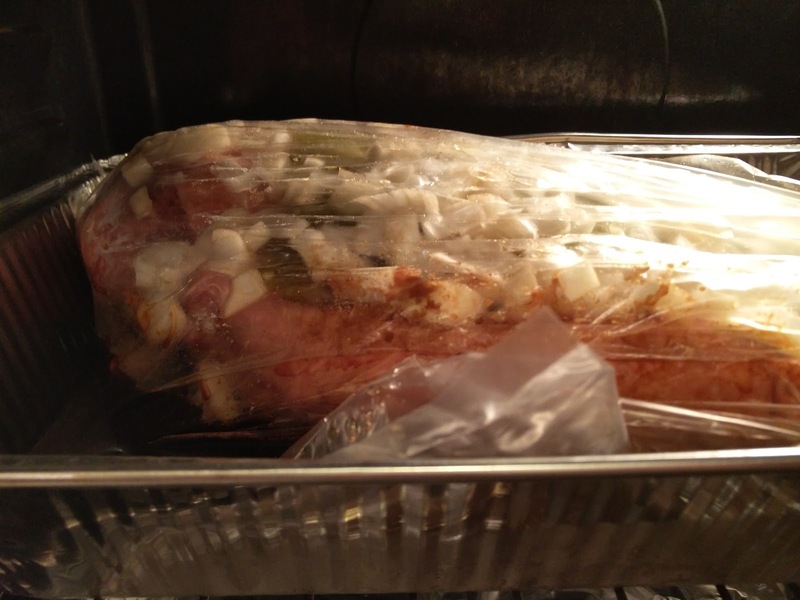 It is fairly quick to throw together and can be prepared in advance. 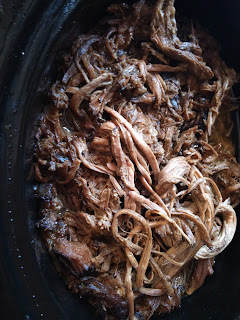 This would be great for a party,perhaps with some other meat, such as chicken stirred in. 1 medium red bell pepper, finely diced - small cubes! 1. Prepare a medium-high (400°F to 475°F) gas or charcoal grill fire. 2. In a saucepan, bring 2 cups water to a boil. 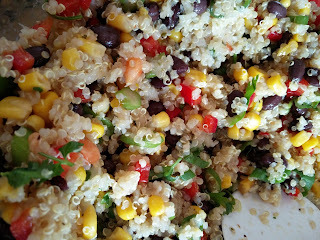 Add the quinoa, reduce the heat to low, cover, and simmer until tender and all the water is absorbed, about 15 minutes. 3. Meanwhile, in a small bowl or jar, combine 2 Tbs. of the olive oil, the lime juice, garlic, cumin, oregano, 1 tsp. salt, and 1/4 tsp. pepper and whisk or shake until combined. 4. Thread the shrimp on metal or wooden skewers. Brush them with 1 Tbs. of the oil and season with salt and pepper. Grill the shrimp until cooked through, about 4 minutes per side. 5. In a large bowl, combine the quinoa, corn, beans, bell pepper, cilantro, and scallions. Toss with the dressing, and season to taste with salt and pepper. 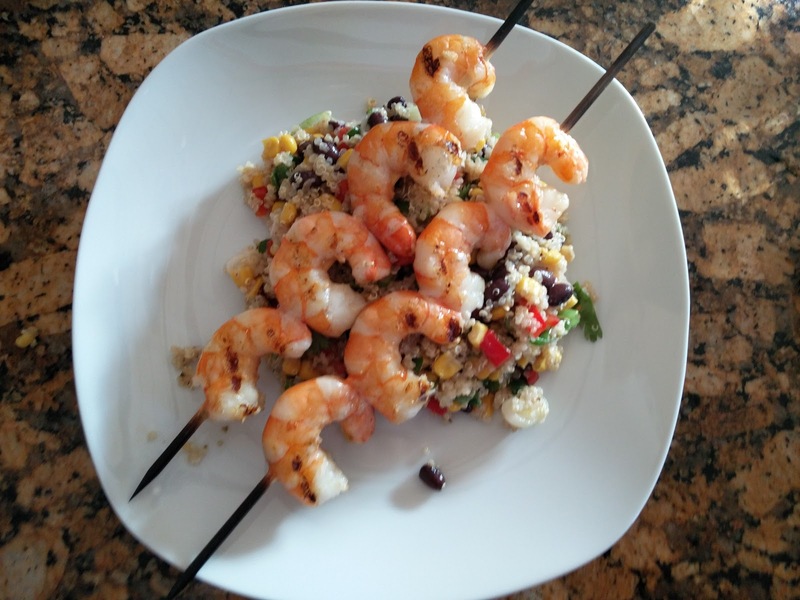 Serve the shrimp with the quinoa. Quick, easy, light and good! Could have used more shrimp. If serving more than 2 people, definitely get more shrimp. He really is not into foods that are not homogenous... He loves beans and corn, but by themselves without any suspicious "salad" (cilantro) around. More shrimp - maybe some additional spices on the shrimp. 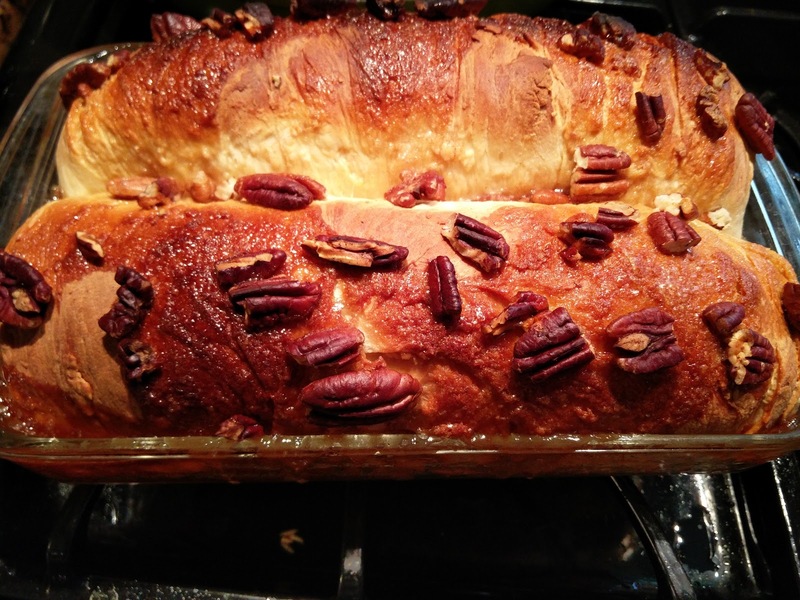 This was a fairly quick to make recipe with lots of flavors. It came together very nicely. 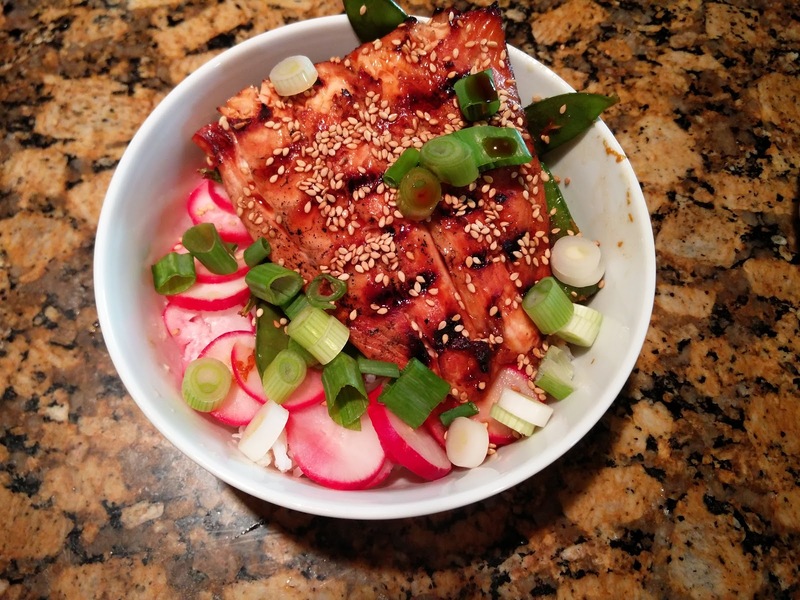 The radishes were surprisingly good in this dish - the sweet marinade really softened them up and made them less bitter. We actually had two different kinds of salmon, the farm raised and wild caught salmon. We found that the farm raised (lighter colored) salmon was actually more juicy than the wild caught one. The recipe calls for 8.5 oz of Uncle Ben's cooked rice, but we just couldn't use it - it looked way too suspicious - why is rice squishy!? and in a bag... So, we made basmati rice - only takes twenty minutes with minimal effort. Also, dividing up 8.5 oz of rice among four dishes sounds crazy, so we think that at least 2 cups of rice should be cooked for the 4 plates to be made from this dish. The sauce does turn out a little sweet, so honey concentration might have to be adjusted for those who don't like their sauce too sweet. 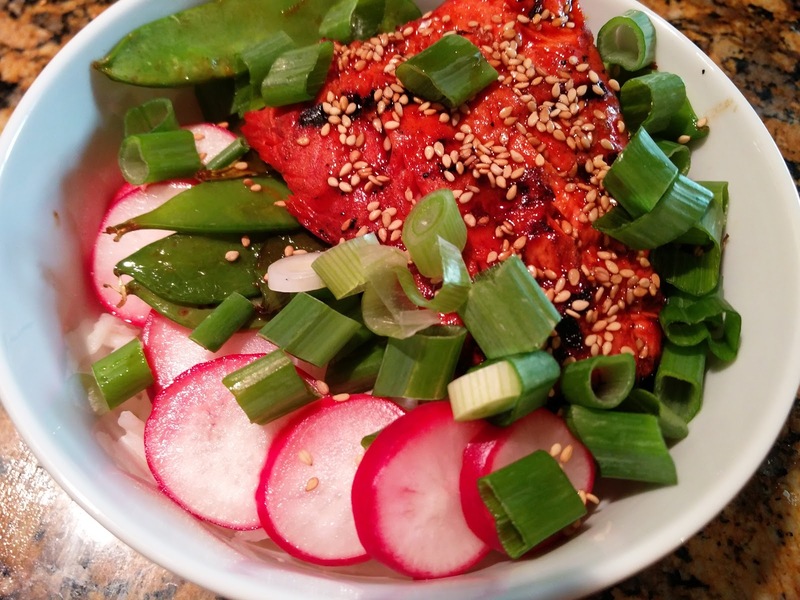 The snow peas go perfectly with this dish as well. 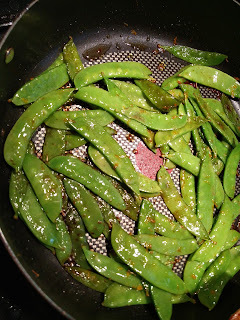 Here is the original recipe for the snow peas: http://www.myrecipes.com/recipe/orange-sesame-snow-peas-0 We did not have the sesame oil, so just used olive oil and that worked out just fine. 1. 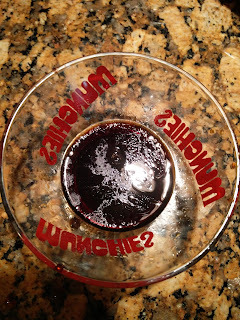 Combine soy sauce, 2 tablespoon vinegar, and honey in a bowl, stirring with a whisk. Place half of honey mixture in a bowl; reserve. Place remaining half of honey mixture and fish in a large zip-top plastic bag; seal. Refrigerate 15 minutes. 2. Combine remaining 2 tablespoons vinegar, radishes, and sugar in a bowl. Let stand 20 minutes; drain. 3. Cook rice - 2 cups rice with 4 cups water and a pinch of salt- bring to a boil, cover and cook on low for 20 minutes or until all liquid is gone. 4. 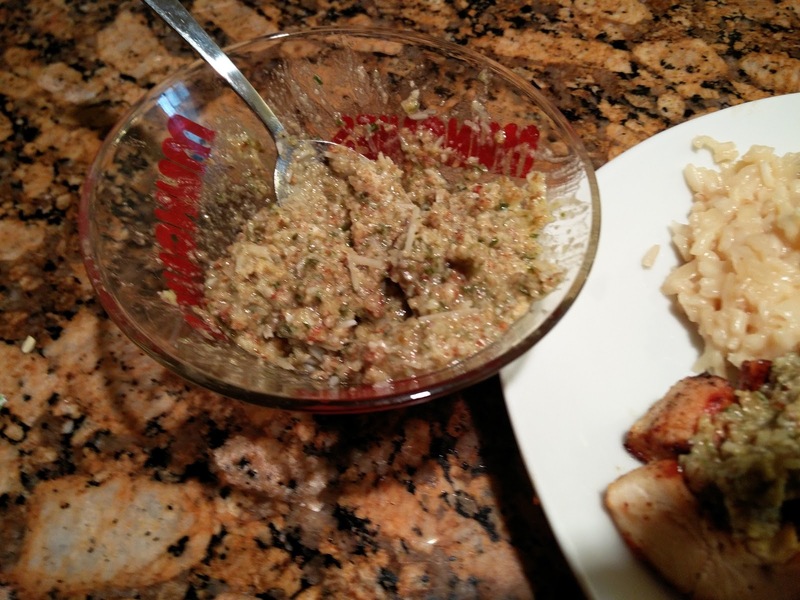 Remove fish from marinade; discard marinade. Heat a grill pan over medium-high heat. Coat pan with cooking spray. Add fish to pan, flesh side down; cook 3 minutes on each side or until desired degree of doneness. Remove fish from pan. 5. While fish is cooking, heat up 2 teaspoons of olive oil and add in the snow peas. Fry snow peas until tender. Add in 1 tablespoon soy sauce and the orange rind. 5. 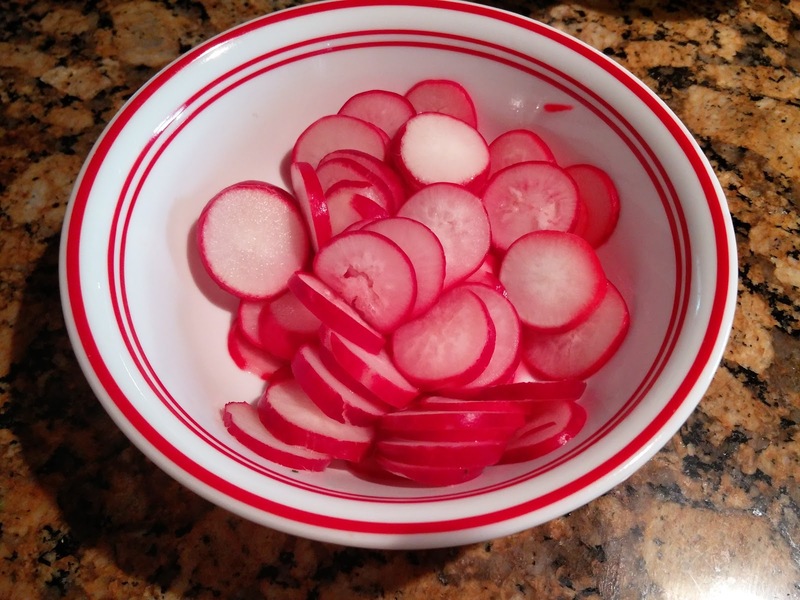 Combine radish mixture and rice in a bowl. Divide rice mixture among 4 shallow bowls; top evenly with fish. Drizzle reserved half of honey mixture evenly over fish. Sprinkle with green onions and sesame seeds. Add the orange-sesame snow peas. It came together so nicely. It was very light and the salmon was delicious. The radishes added a nice tartness/bitterness. It was a very harmonious blending of flavors. Sauce was a little too sweet - regular soy sauce may have worked better. He was too busy watching cartoons to care about dinner..He also ate a cookie, and m&m yogurt earlier, so his thoughts really were not on food.